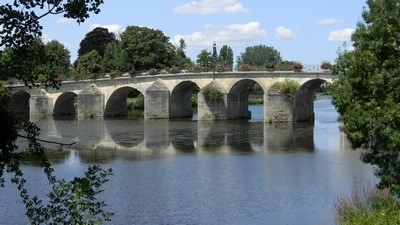 Located at the beginning of the "Creuse Tourangelle" Valley, between Touraine and Poitou, what was historically known as The "Haya" has now become Descartes. Descartes, with a great range of leisure faclities, such as its medieval garden, rosery, mini-farm and water park; including two jacuzzis, paddling pools for younger children, and water slides for the older, it is the perfect location for a fun filled yet relaxing holiday. There is also a campsite ("La Roseraie"), a mini-golf course, and the two ceders cafe in the heart of this well-kept and colourful town. The town of Descartes is well equipped with spots facilities, including a BMX track, the Joel Couillard Velodrome, the David Douillet Martial arts centre, a skate park, a centre for canoing and kayaking and a boules green. The town has a rich heritage, with both the René Descartes museam and the René Boylesye museam, the former situated in Descartes' ancestral home. There are also many churches, including, the Notre Dame de la Haye Church, with various features dating back to the 12th Century, as wells as the town's old paper mill district. Descartes is the native town of three fanous writers: René Descartes, René Boylesve and René de Buxeuil and consequently is often named "Cité des trois René". The town was also home to Gustave Trouvé, a fanous engineer, inventeur and physicist who is noted for the invention of the 1st electric car. Its geographical location and its history have contributed to the economically flourishing cultural and touristic appeal of the town. In the modern era it is up to date with the latest communication and technologies. Descartes has remained a modern and dynamic town. Descartes offers a wonderful quality of life for its inhabitants and visitors alike, with the benefits of the Touraine du sud region combined with its beauty and its historical culture.